Marty Mathis was crowned the partypoker LIVE MILLIONS South America Main Event champion. Marty Mathis won $87,500 for his 17th-place finish in the 2011 PCA Main Event, a sum that remained his largest live poker tournament score for more than eight years. 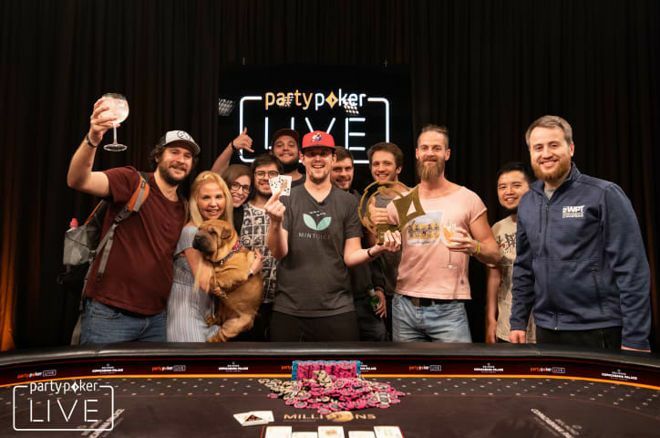 That changed on March 24 when he was crowned the 2019 partypoker LIVE MILLIONS South America Main Event champion, an accolade that came with an $873,700 prize. 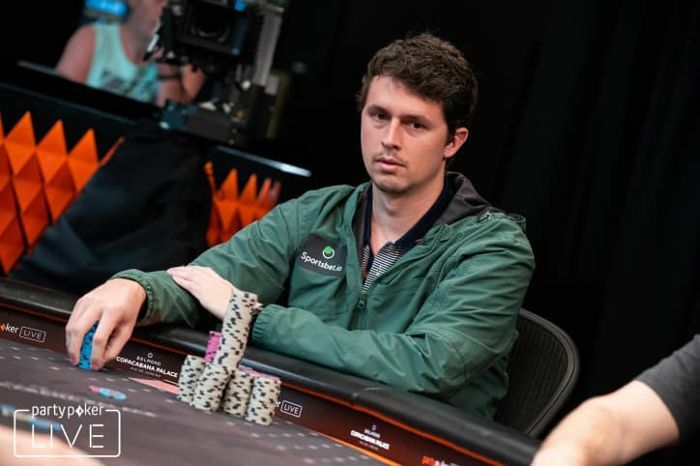 Not only that, but Marty Mathis bought in to the event with partypoker live dollars, which he has been grinding online at partypoker, putting him in a prime position to take down the partypoker PP LIVE $1M Leaderboard which rewards $100,000 to the leader in April. A field of 439 players turned out for the 2019 partypoker LIVE MILLIONS South America Main Event, which featured a USD$5 million guaranteed prize pool. Of those 439 starters, 55 received prize money for their efforts. 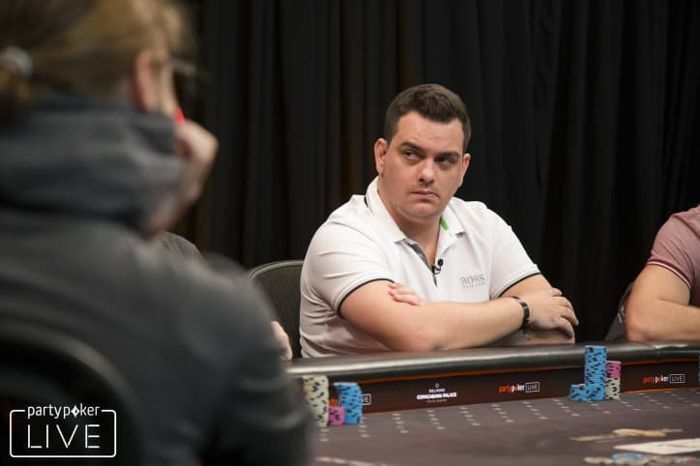 The likes of Jack Sinclair, Richard Trigg, Bryan Piccioli, Tom Middleton, Manig Loeser and Patrick Leonard all cashed in the $10,300 buy-in event, the latter falling in 10th place for R$240,000 (US$60,000). The eight-handed final table was reached on Day 4, although two of its members crashed out to leave only six players in the hunt for the title. Andre Busato busted in eighth place when he moved all in for slightly more than 13 big blinds with ace-queen and was snapped off by Matas Cimbolas who was laying in wait with pocket kings. The five community cards ran out with no drama and Busato was busto. Cimbolas did the damage again a few moments later when Michael Sklenicka pushed his short stack all in with queen-jack. Cimbolas made the call with ace-ten and his ace-high was enough to reduce the player count by one. Day 5 started then with six players and all six were guaranteed the equivalent of US$250,000. Five of those players jumped up the pay ladder early on the final day when Samuel Gagnon opened to 2.6 million during the 600,000/1,200,000/1,200,000 level (with big blind ante). Caio Hey three-bet all-in for 17.9 million and Gagnon called. It was a pair of red deuces for Hey and a pair of black sevens for Gagnon. Gagnon improved to a set on the flop and Hey was drawing dead after the turn. A couple of hours passed without an elimination before Vlada Stojanivic lost a coinflip to Mathis that ended his participation in the tournament. With blinds now 700,000/1,400,000/1,400,000, Bruno Volkmann opened to 2.8 million in the cutoff, Mathis called on the button and Stojanovic jammed all in for 20.8 million in the big blind with what turned out to be pocket tens. Volkmann ducked out of the way, but Mathis called with ace-king of hearts. The flop fell without an ace or king, but it did display two hearts. Mathis completed his flush on the turn to send Stojanovic to the showers. Next to fall was Gagnon who opened to 4.5 million with queen-seven of hearts during the 1,000,000/2,000,000/2,000,000 level and Volkmann called on the button with pocket fours. An eight-seven-three flop saw Gagnon check-call a 5.5 million bet from Volkmann. The turn was a four, improving Volkmann to a set. Gagnon again check-calleded a bet, this time one worth 12.5 million. Gagnon checked again on the king of clubs river and Volkmann set his opponent all in. After using a time extension, Gagnon called off his last 44 million chips only to see his pair of sevens was now an expensive second-best hand. The final three players went on a 40-minute break to discuss a deal for the remaining prize pool. A deal was agreed upon, one that left US$212,000 extra for the eventual champion. Cimbolas would progress no deeper in the tournament, busting in third place at the hands of Mathis. A min-raise with ace-five on the button to 5 million from Cimbolas was called by Mathis from the big blind holding king-ten. Cimbolas paired his five but Mathis flopped trips. Mathis check-raised Cimbolas’ 4 million bet to 11.1 million and Cimbolas called. The nine of spades on the turn completed a potential spade flush and Mathis led for 40 million. Cimbolas had 42 million chips in front of him and he moved all-in. Mathis snap-called and Cimbolas saw he was drawing dead. Bruno Volkmann finished in second place. Going into heads-up, Mathis had 96 big blinds to Volkmann's 80 bigs, so the contest was far from over. The pair battled for three hours with Mathis leading for the majority of the time until Volkmann clawed his way back to even. Mathis then began to turn the screw and by the time the final hand took place, Volkmann was down to his last 17.7 million chips and Mathis held 421.3 million. Volkmann open-shoved those 17.7 million chips into the middle with queen-deuce and Mathis called with the dominating queen-eight. Neither player improved their hand, and Mathis’ eight-kicker played, making the title along with US$873,700 in prize money all his. $30 worth of SPINS tickets for a £/$/€20 First Deposit+ Get up to 40% back every week! partypoker has been around since 2001 and is still one of the major players in the online poker world. Win a Share of 1,000 Free Spins on Starburst - Every Day!